Keith Williams to lecture at Marlowe Theatre, Canterbury on 1 May 2012. As part of the Architecture and Arts programme run by the Kent Architecture Centre. The lecture will examine the design ethos behind the design of the multi-award winning Marlowe and the inherent complexities of designing a major contemporary cultural building in a historic city. The lecture will also consider in detail the constructional and logistical complexities of the project, as well as a design complexities of the 1200 seat main auditorium celebrated for its theatrical and acoustic qualities. 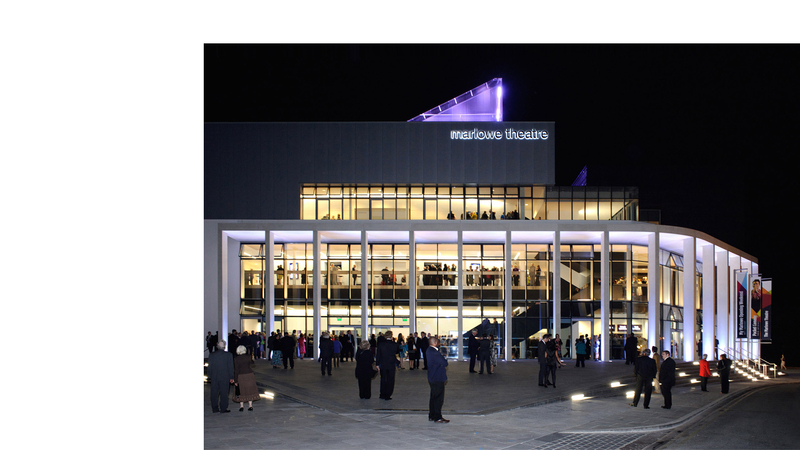 The lecture will look at the Marlowe in the wider context of the work of Keith Williams’ firm and its emphasis on public and cultural buildings notably the opera house in Wexford, Ireland, the Novium Museum which is approaching completion in Chichester, the Unicorn Theatre, London and Athlone Civic Centre, Athlone, Ireland. After the lecture Keith will conduct a series of guided tours of the building.